A reusable coffee cup lending scheme is about to be trailed in Wellington for caffeine addicts looking for convenient, takeaway coffee that's also waste-free. Currently New Zealanders send an estimated 295 million cups to landfill each year. While there are already compostable alternatives a very low proportion are actually composted. 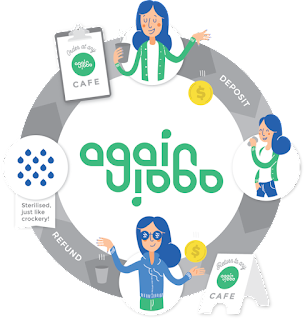 The Again Again scheme works like this: customers pay a three dollar refundable deposit for a reusable steel cup, with a silicone lid, and a cardboard heat sleeve. They fill it up at one of 14 participating cafes and when it's empty, they can fill it up again, or return it to any shop in the network where they can get their money back. ​Nada Piatek, is the Founder and Director of Again Again which will launch on Tuesday 20th November. 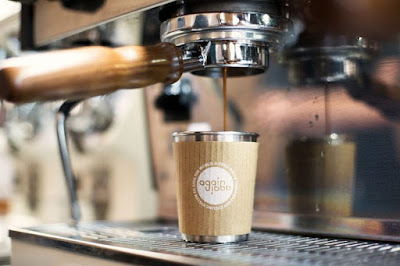 Fourteen Wellington cafes will take part in the pilot including Peoples Coffee, Superfino, Fidel's, and Maranui.